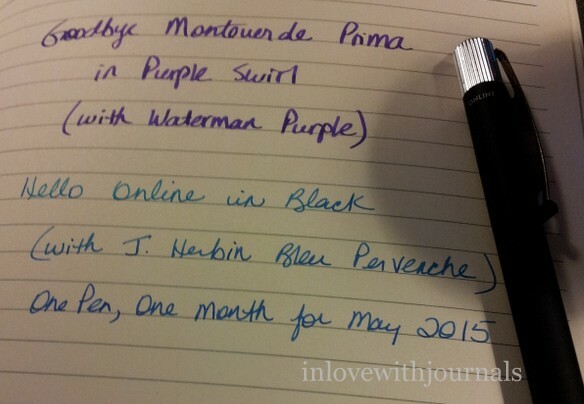 Monthly Pen for May: ONLINE in Black, currently inked with J. Herbin Bleu Pervenche. I first talked about this pen in November of 2013, and it hasn’t been in my current rotation for a very long time. 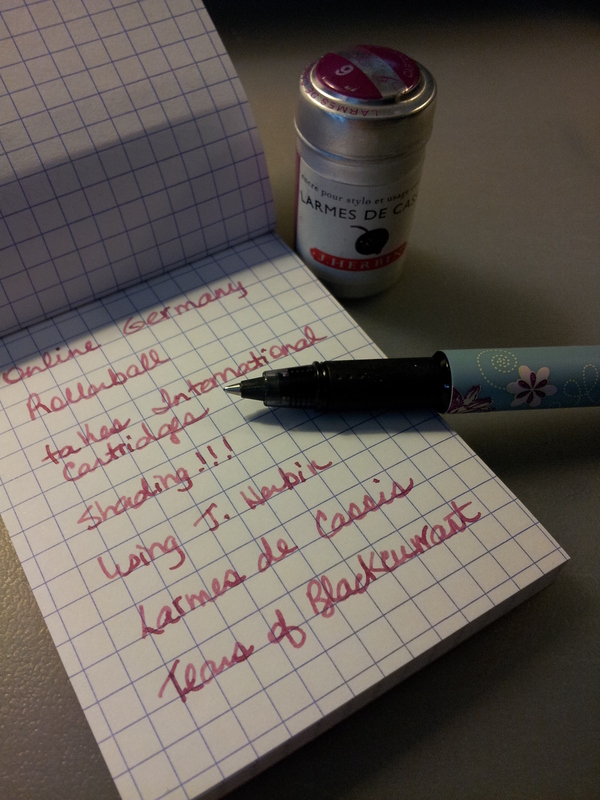 I reviewed my new Coleto and De Atramentis Aubergine ink in this post. 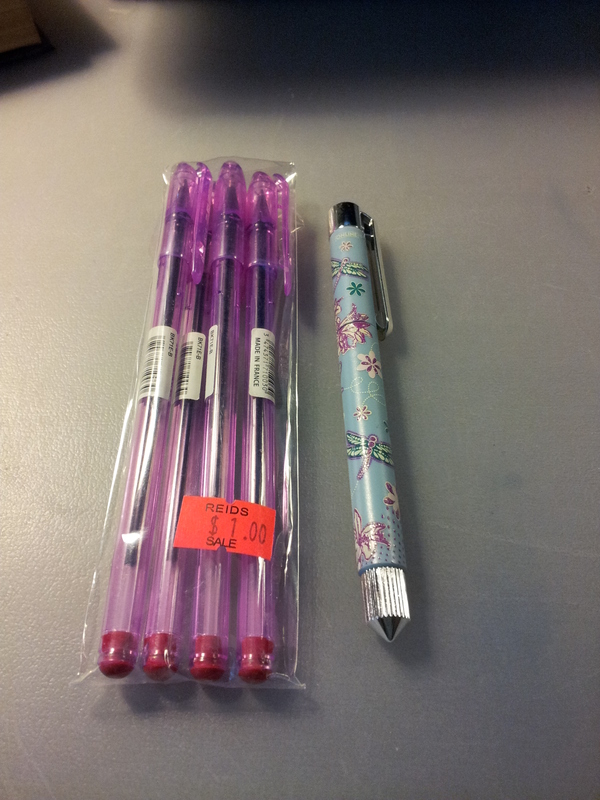 I am still waiting on my ebay pen and items from Nanami Paper. And just this week I purchased two pens from sellers on FP Geeks. Lots to talk about coming up! I really enjoyed using my MV Prima this month. With the 1.1 stub nib my handwriting gets HUGE, so that’s one of the reasons why I wrote 24 pages this week. 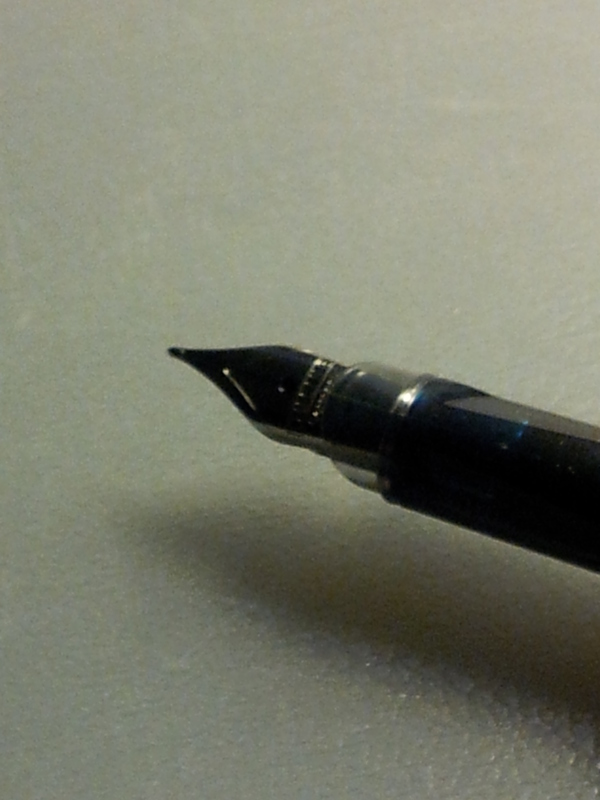 And now I will be using my old friend, the ONLINE fountain pen. I really don’t think I’ve used it since early 2014. 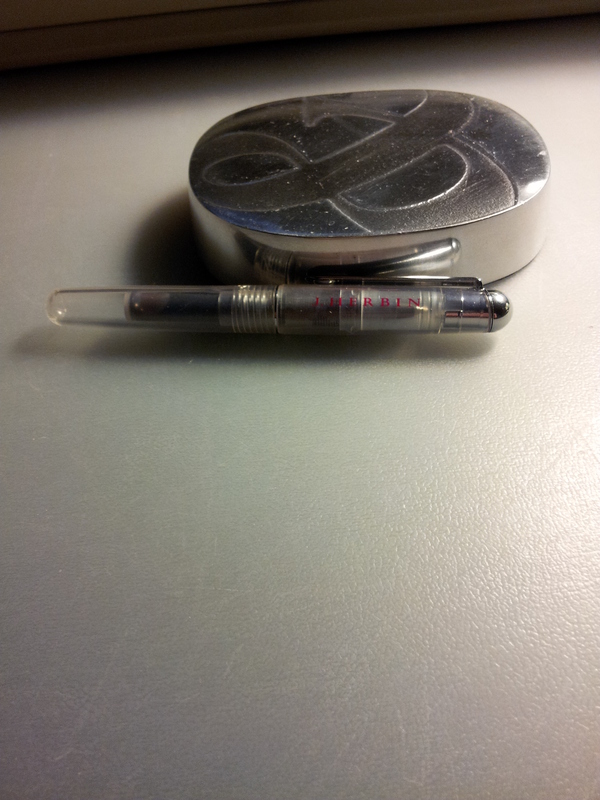 But that’s the spirit of One Month, One Pen; I want to rotate my pens and fall in love with them all over again. My niece is getting married this summer and last week I was invited to her wedding dress fitting. My sister and I went for dinner first, which was great, and then met my niece at the bridal store. And when she came out of the dressing room I cried. She looked so strong and beautiful, she took my breath away. The amazing gown she chose makes her so happy, and it shows. Had a wonderful evening with my friend on Saturday. We went for dinner and then did some shopping at WalMart. I wasn’t feeling the best but I pushed myself and I was so glad I did because we had a great time. One of my pen pals has a YouTube channel: Gerald Taylor. He cautioned to be careful when putting certain inks in pens with internal filling systems. He referred to SBRE Brown’s experience with Noodler’s Liberty Elysium and his own disappointment with Private Reserve ink. Vintage pens can be especially at risk. So I asked Gerald about my vintage Waterman. I explained that I was using only Waterman ink in it, and did he think that was ok. 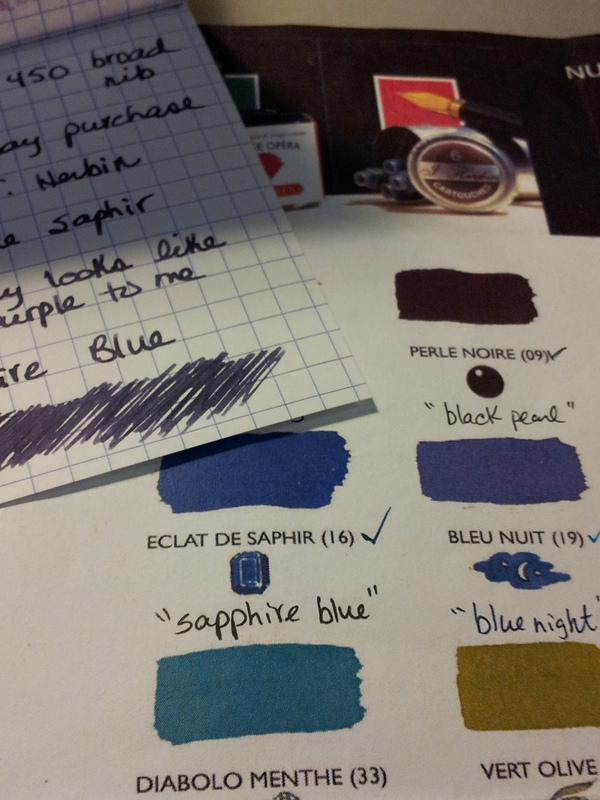 He reassured me that Waterman inks are one of the safest inks, particularly their blues. Zero staining and zero pen damage. Good to know – thanks Gerald! 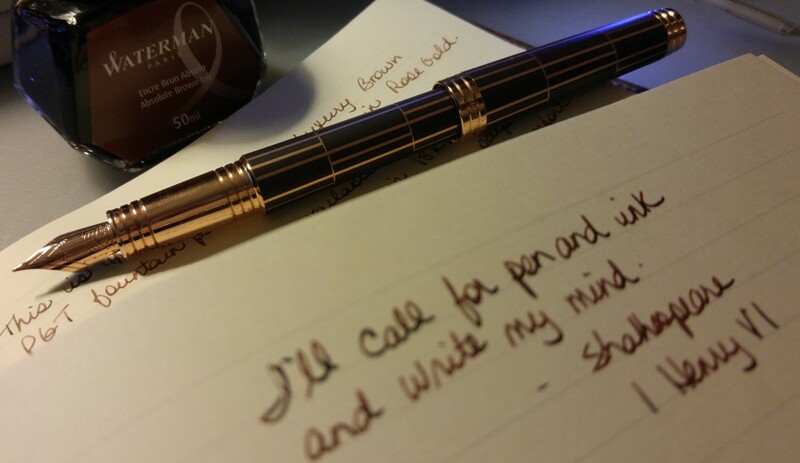 Check out his blog as well, mycoffeepot.org, for more in-depth discussion of the pens he reviews. In honour of Fountain Pen Day just passed, I thought I would do a post on my pen collection. By my count I have done over 40 posts under the category of My Journal Collection, but only 3 under My Pen Collection. So this is long overdue. 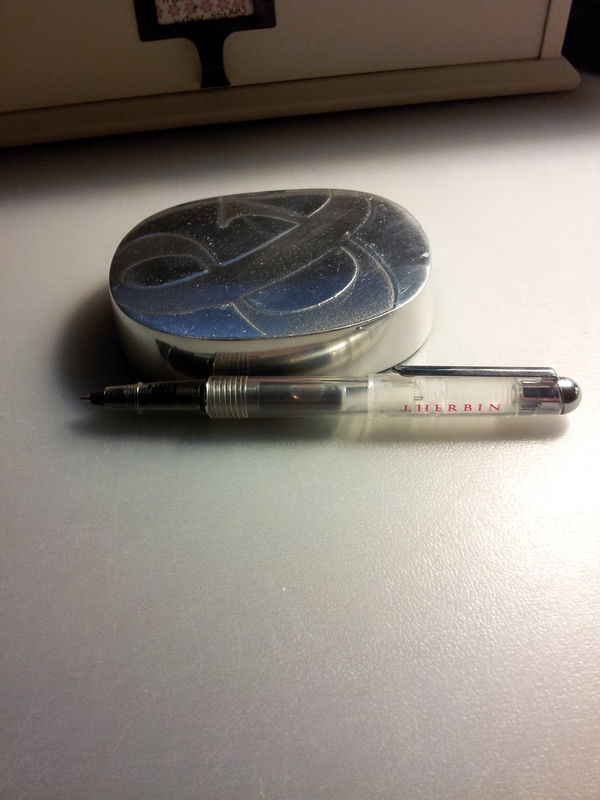 Over the summer I purchased a J. Herbin Rollerball with a clear case. It was around $10 and I love it. 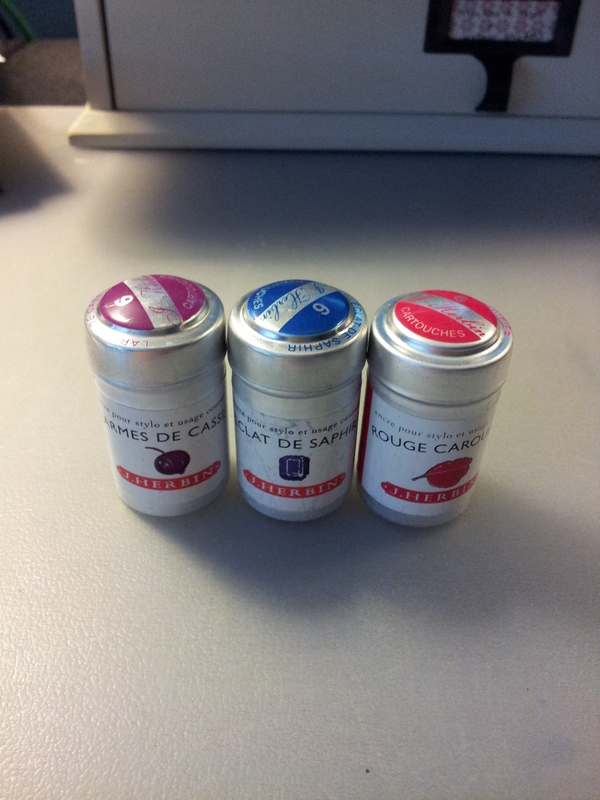 Truth be told, I fell in love with the J. Herbin ink tins first, and fell in love with the pen later, probably due in large part to having something to use the inks in! 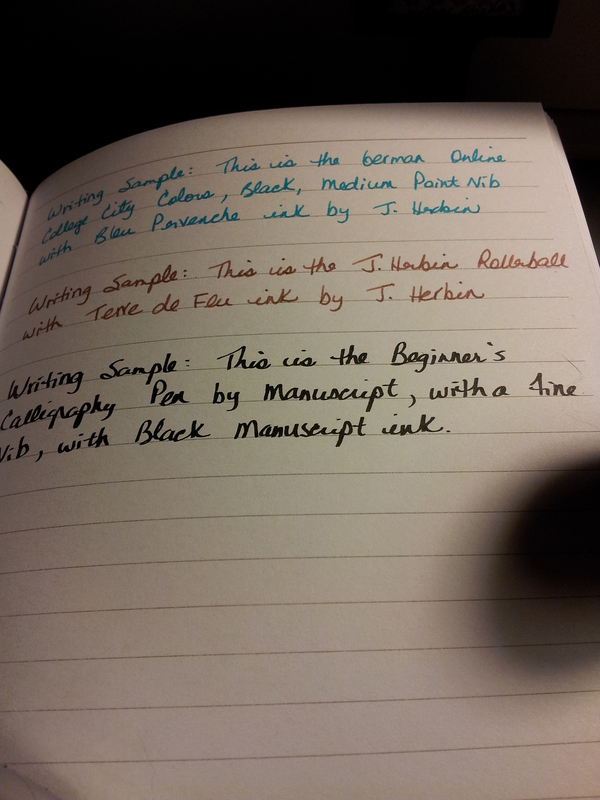 I have used the Lie de The ink and the Terre de Feu ink in it so far. Slight difference in the shade of brown between the two inks. 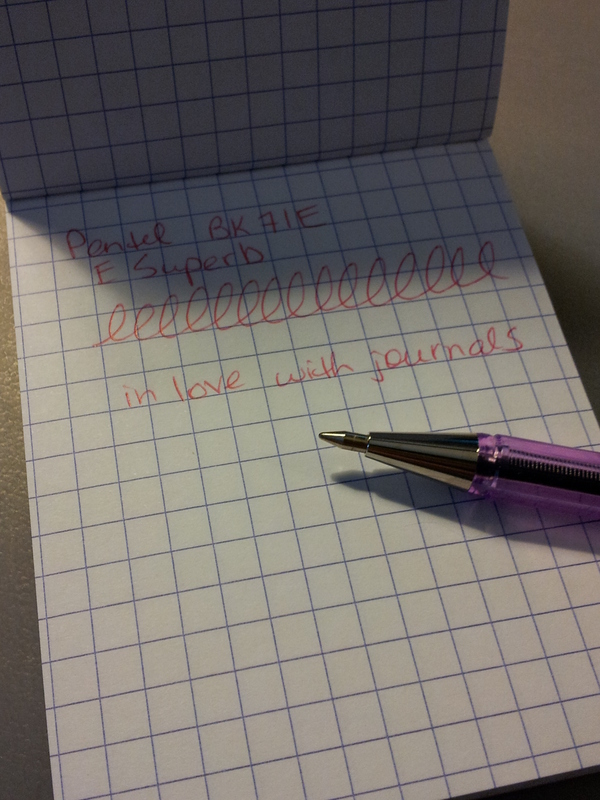 It writes beautifully and you can get yourself one from Goulet Pens. 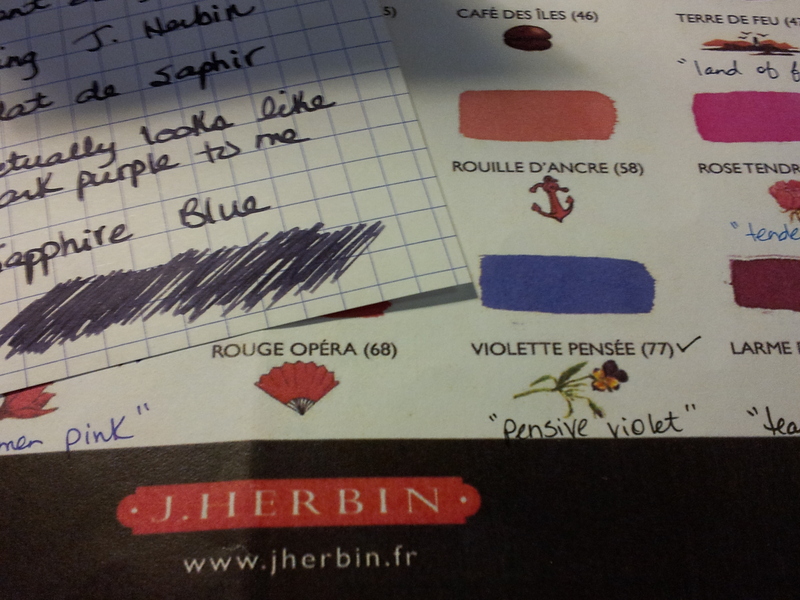 The pen takes any short international cartridge but I prefer the J. Herbin inks it was designed for. 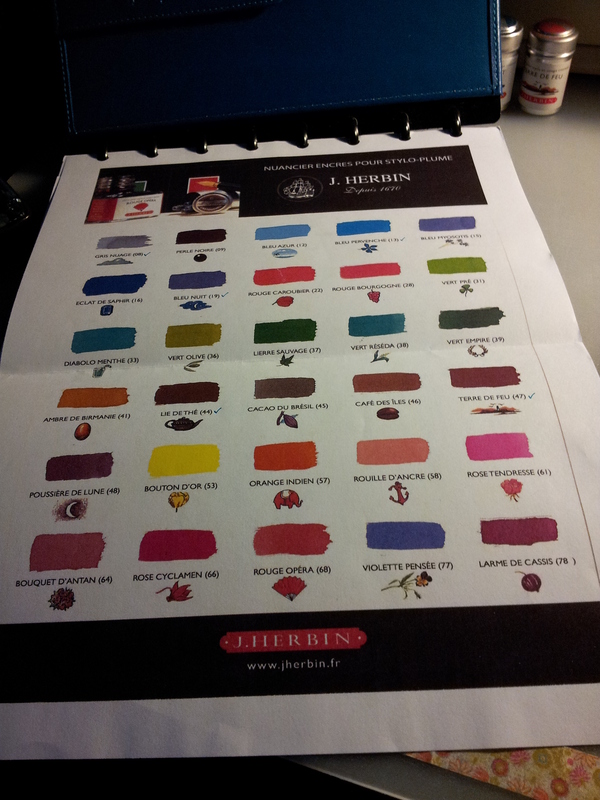 An overview of the inks available from J. Herbin. I want to collect all 30! Each colour is also available in a bottle. My collection. Only 25 to go! 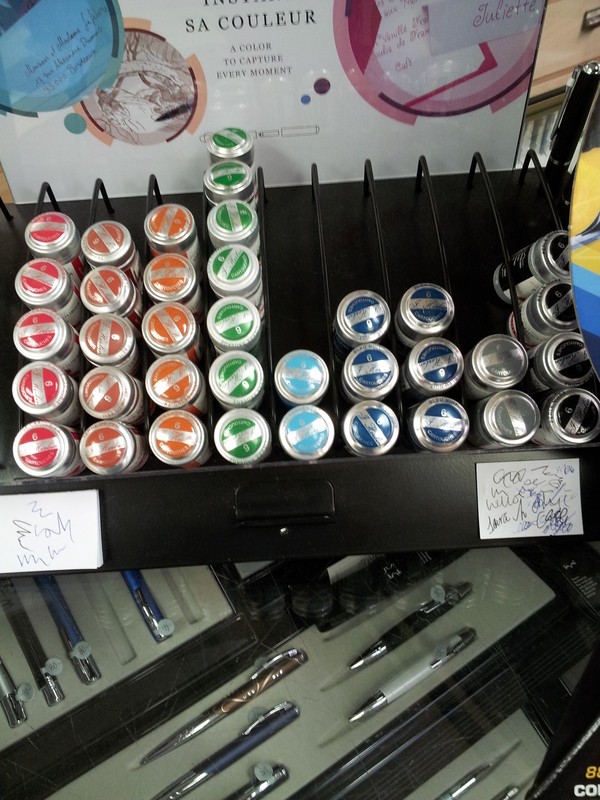 My local stationer’s display of J. Herbin tins. This store also sold me my second fountain pen: the ONLINE College City Colors fountain pen in black, with a medium nib. It sold for $13. 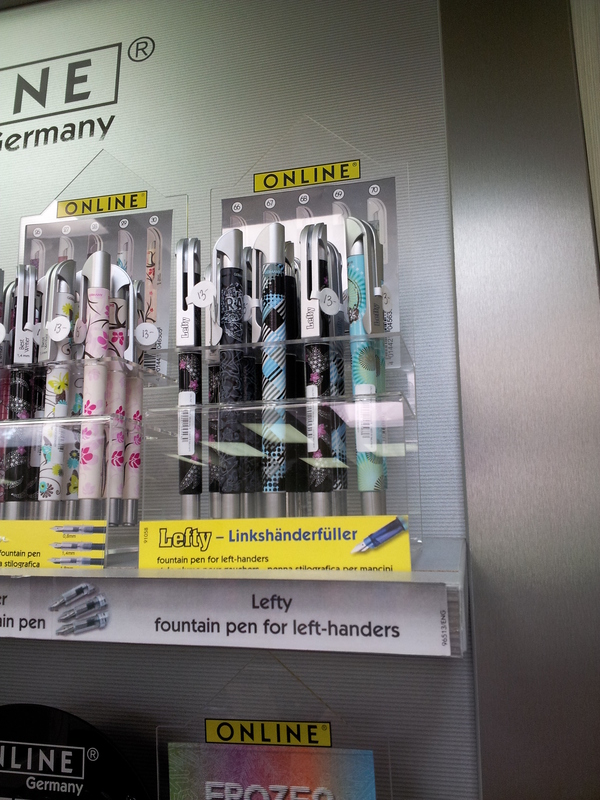 The store display for the German company ONLINE. It comes in lots of great colour combinations and they even have a special edition for lefties. 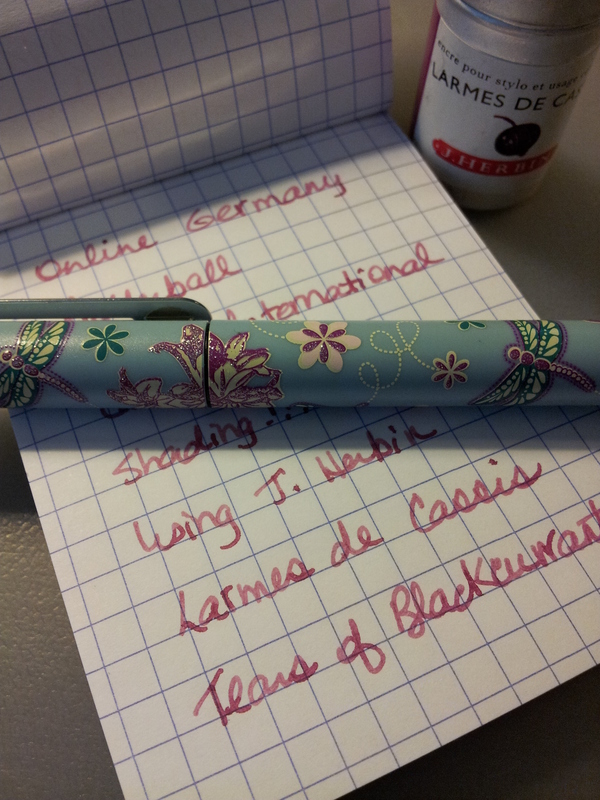 I didn’t think I would like a medium nib (my Lamy has a fine nib) but I quite like it. 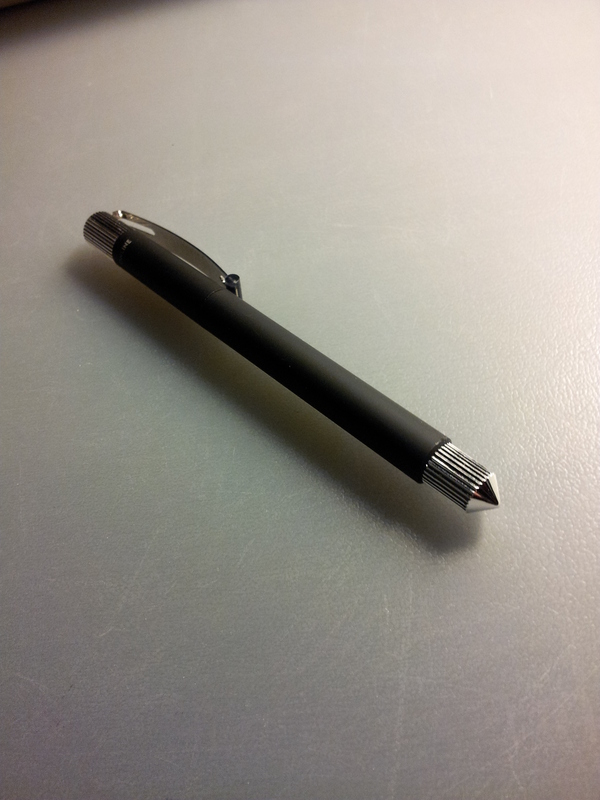 The pen is unbelievably light (made of plastic after all) and a real joy to use. They take all international cartridges. 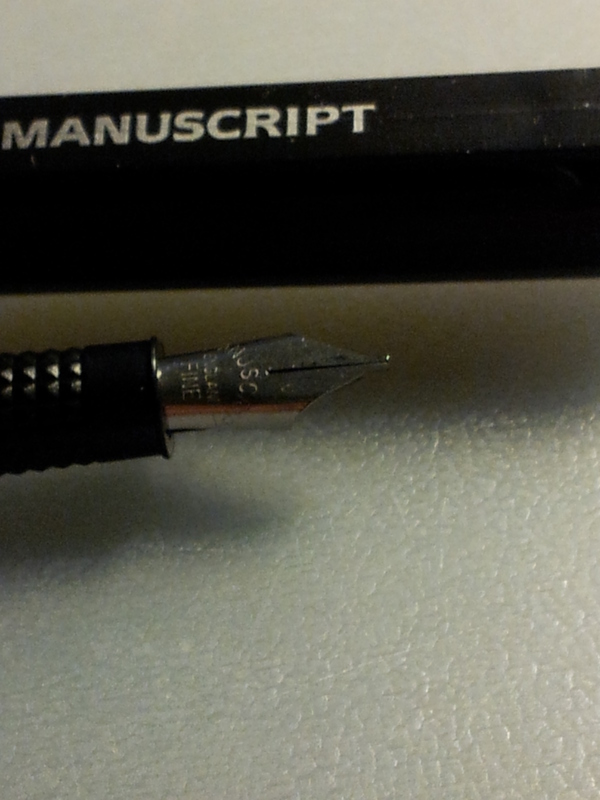 I tried to get a good close-up of the nib but there are too many shadows. 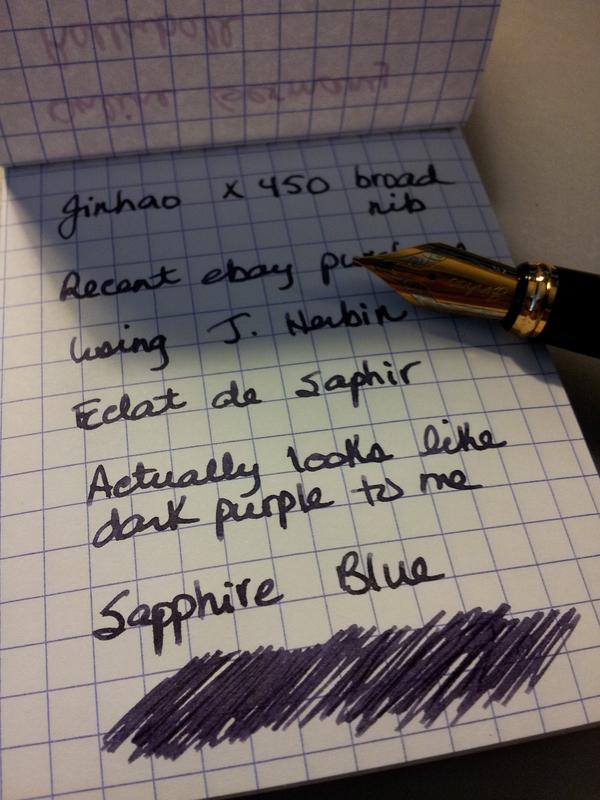 You can just see the hint of blue from the ink it is loaded with (Bleu Pervenche for J. Herbin). The Online College City Colors collection is available through Goldspot Luxury Gifts. And finally I picked up this Beginner’s Calligraphy Pen set from Manuscript at my local Michael’s, for about $14. I’m delighted with it – I think it writes beautifully. It also takes international cartridges but comes with a converter so I can put bottled ink in it. Fantastic features for such a low price point. The ink did take a bit of coaxing to flow and it is slow to start each time I start a new writing session. But other than that a really great pen. 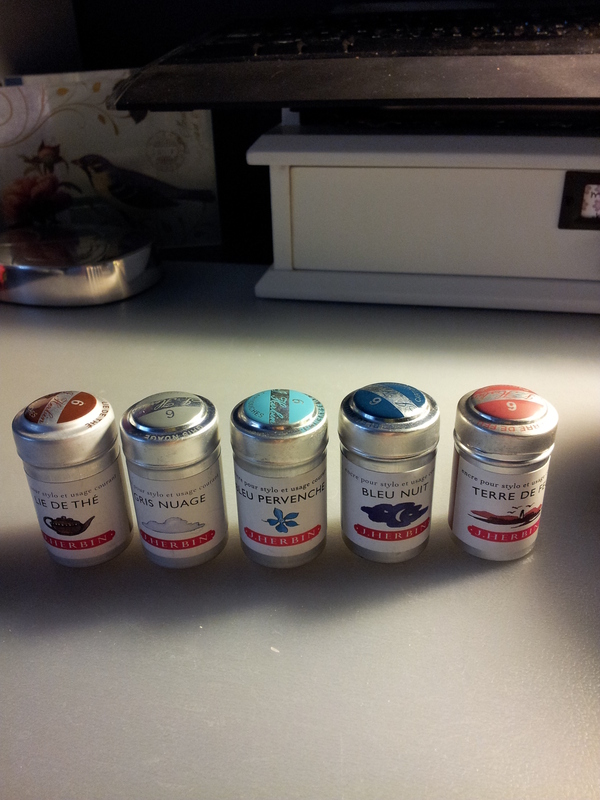 And I can purchase other calligraphy nibs from their UK website for about $5 each plus shipping. 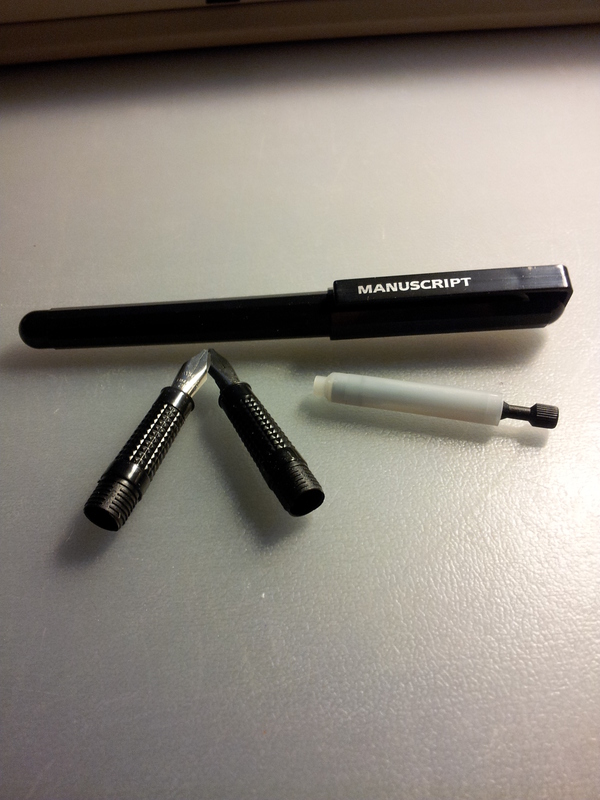 Manuscript also has this neat service where if you are left-handed you can ship the nibs that came in the package to them, along with the cost of return postage, and they will ship the corresponding left-handed nibs to you. Awesome company. 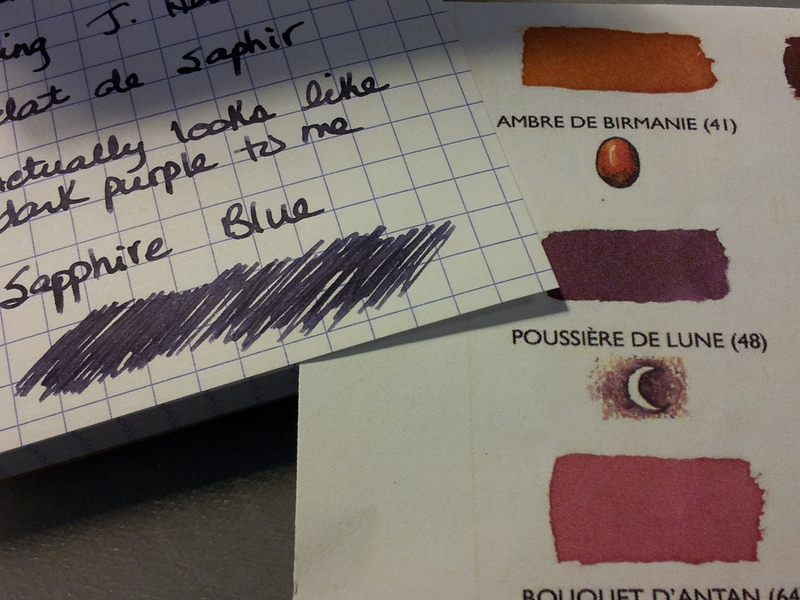 And finally some writing samples. It’s crazy how the black ink of the Manuscript pen jumps off the page.